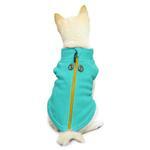 Your dog's cold weather walks will be bearable with the Gooby Zip Up Fleece Dog Vest in Turquoise! I am such a fan of this product- this is my 3rd jacket in turquoise I purchased (plus one in black and lime and red). Best fit ever and so well made, The turquoise is such a great color! Cute and warm and my chihuahua looks very dapper! Posted On 12/02/18 by Holly M from Frisco , TX Yes, Holly M recommends this product! Love this fleece jacket. It keeps my 5 lb chihuahua warm and comfy on those cooler Texas evenings. The fit is perfect and this jacket is super easy to put on and take off. 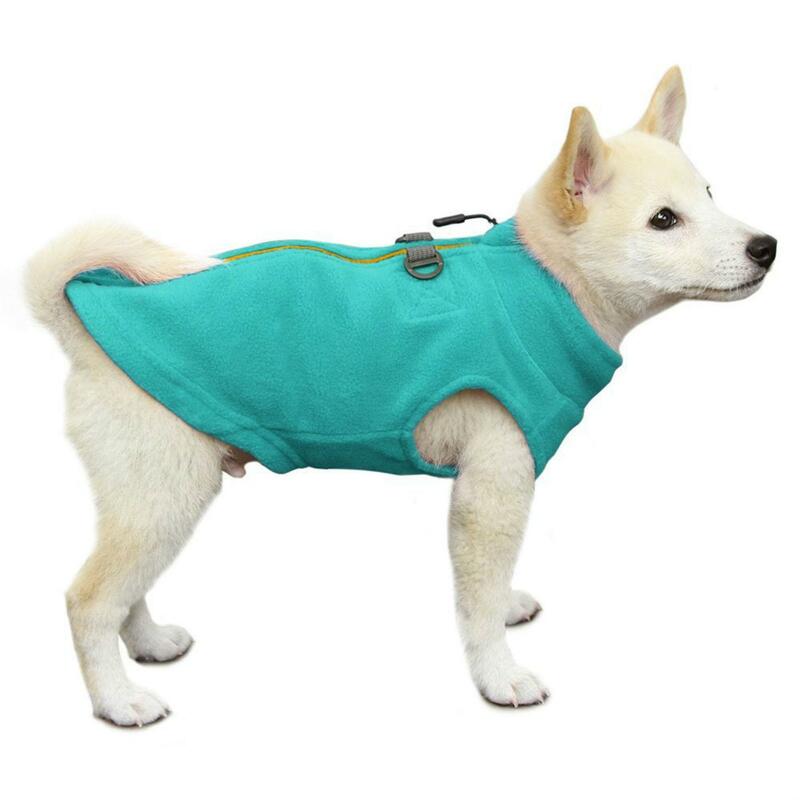 It is lightweight and warm and does not hinder his movement at all. I also appreciate the D rings on the back for attaching his leash. I highly recommend this product and give it 2 enthusiastic paws up! Posted On 11/24/18 by santa monica from santa monica, CA Yes, santa monica recommends this product! I just ordered another one of these in the same gorgeous turquoise color. 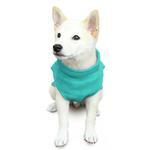 It's my favorite fleece and I bought in lime, black and green but this turqouise one gets compliments every day. The fit is perfect and super easy to zip on and off. Still wearing one from 8 months ago and after many washings, still looks brand new. Posted On 04/13/18 by karen w from Santa Monica, CA Yes, karen w recommends this product! i used to be a fido fleece fan but once they stopped making products i've been searching for a replacement. i LOVE this fleece- it's my new favorite. the construction and fit is amazing- not too short and fits just snugly. the zipper is well made and it's super soft and just looks amazing. i can't say enough positive things about this fleece- i want to buy more-- oh and the turquoise color is amazing! Posted On 04/11/18 by Korena S from King City, OR Yes, Korena S recommends this product! Was so happy this was back in stock. We love Goobys fleece jackets and the zip up is so easy to put on. The D ring makes it so convenient for Leash attachment or fastens to her booster seat. This is the only place I could find the choke free harnesses that I prefer for my pup. I have looked every where only to find them here.